The world’s largest social network is finally jumping on the livestreaming bandwagon. Facebook on Wednesday launched a new feature simply known as “Live” that’s part of its Facebook Mentions app for public figures. The new feature can be used to share live video with followers at any time. When a Live stream is started, it will appear in the News Feed of fans, allowing them to comment, like and share with their friends. Those that have recently interacted with a streamer will also receive a notification when a new broadcast is started. Streamers will be able to see how many people are viewing their feed in addition to real-time comments from watchers. The latter aspect can be used to host an impromptu Q&A session, for example, or hidden entirely. 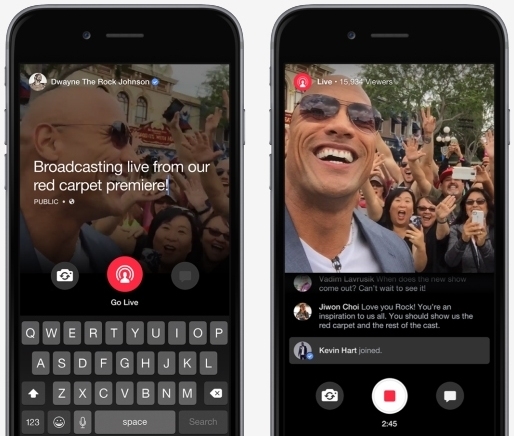 Unlike some ephemeral livestreaming solutions already on the market, Facebook Live videos will be saved and published on a public figure’s Page so fans that missed the session can get up to speed. Of course, clips can also be removed at any time by the streamer. Facebook launched Mentions a little over a year ago. The app is designed to make it easier for public figures to interact with their fans and each other. If you haven’t already surmised, the Live feature for Facebook Mentions is currently only available to public figures. No word yet on when or if the new feature will ultimately become available to the general Facebook population.